It’s coming up to three weeks that I've been back from my travels, but I haven't been able to think of much else. It's safe to say, I may have caught the travelling bugI One of the things I enjoy about travelling, being the beauty junkie that I am, is shopping at World Duty Free. 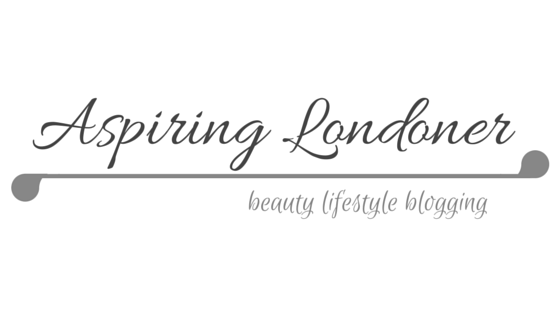 Who doesn't want to save some serious money on their beauty favourites? I spend a good amount of time at Word Duty Free, much to my other half's dismay! I'm either stocking up on my favourite beauty products or picking up beauty exclusives only available at World Duty Free. So why is it despite shopping all year round, I feel the need to shop yet again at Duty Free? Because I can save money buying essential I would have bought any way. 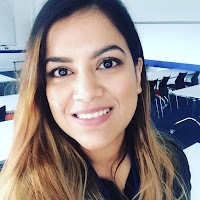 If I know I'll be travelling, I tend not to buy branded beauty products and expensive skincare and keep a list to buy. This way I make quite a bit of saving from the tax free prices. 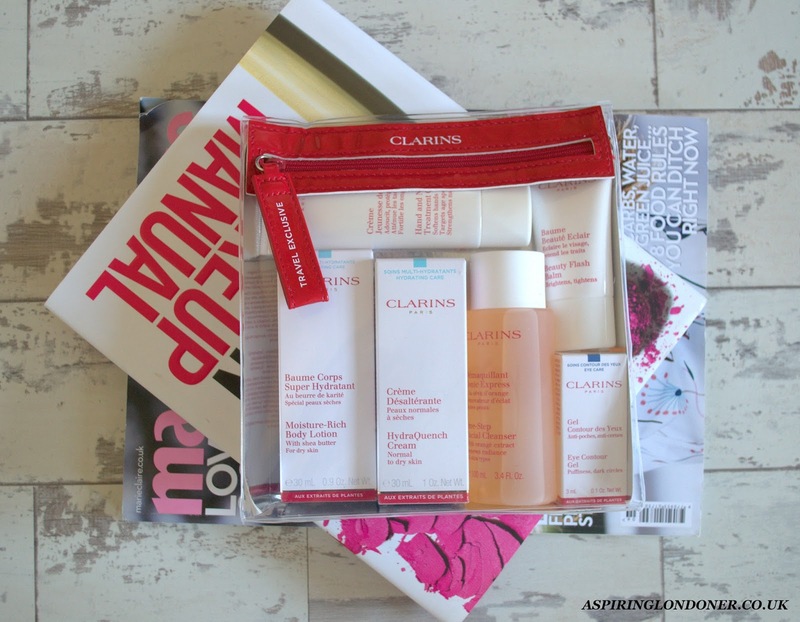 Also, I can easily pick up my skincare from the airport in handy sizes like the Clarins Take Off Essentials Set (£35.50). It includes Beauty Flash Balm 15ml, Eye Contour gel 3ml, Hand & Nail Treatment Cream 50ml, HydraQuench Cream 30ml, One-Step Facial Cleanser 100ml and Moisture Rich Body Lotion 30ml. How amazing value is that?! This means I won't have to go through the hassle of decanting into little pots and putting them in clear bags. I also pick up my Estee Lauder Advanced Night Repair Serum at a much less eye watering price at duty free! Now World Duty Free exclusives bring out the beauty collector within me. 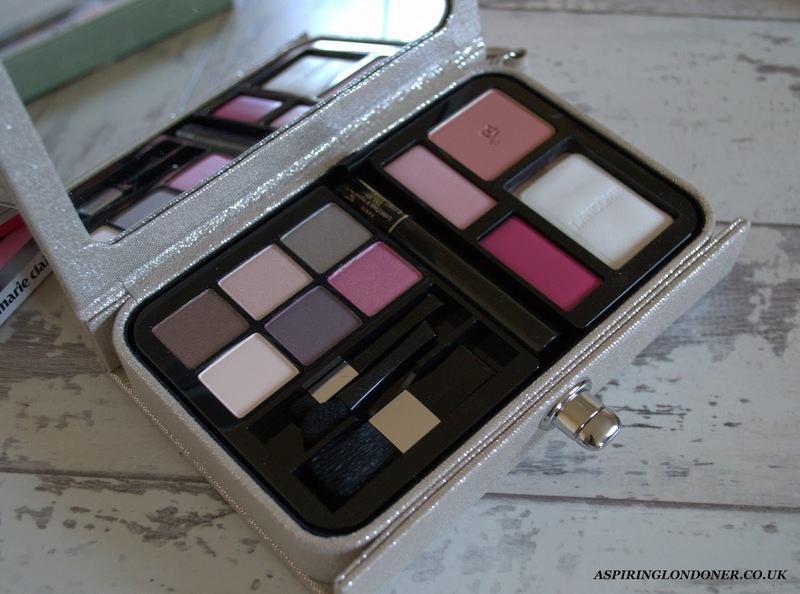 I love the special packaging like the Lancome Travel Chic Palette (£42). 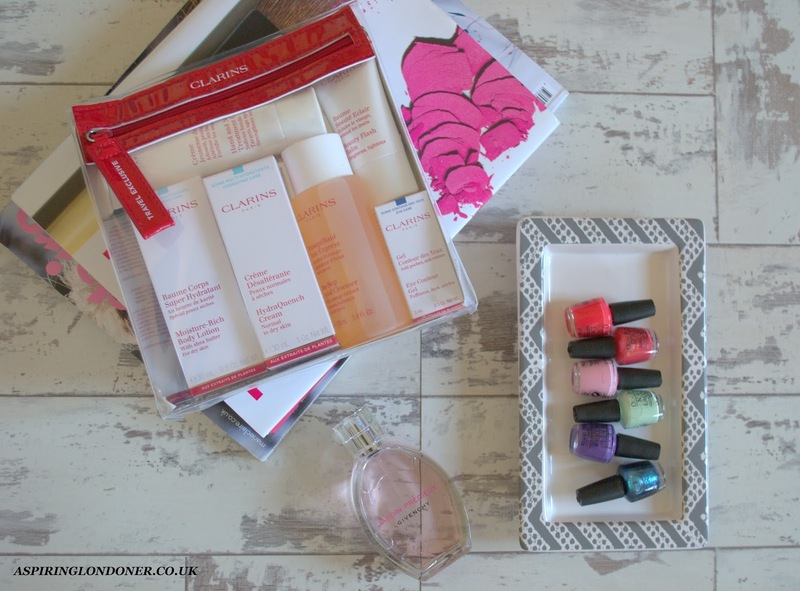 I can get my favourite products and brands with lovely packaging. The palette is great value as it includes six ombre eyeshadows, a lipgloss, a lipstick, blush, compact powder and a mini Hypnose mascara! I’ve found palettes like the Lancome one great for travelling with. It helps me to be more succinct whe packing for holidays! It has everything for day and night looks. The travel exclusive pieces are perfect for gifts for friends and family as they'll be different to high street. 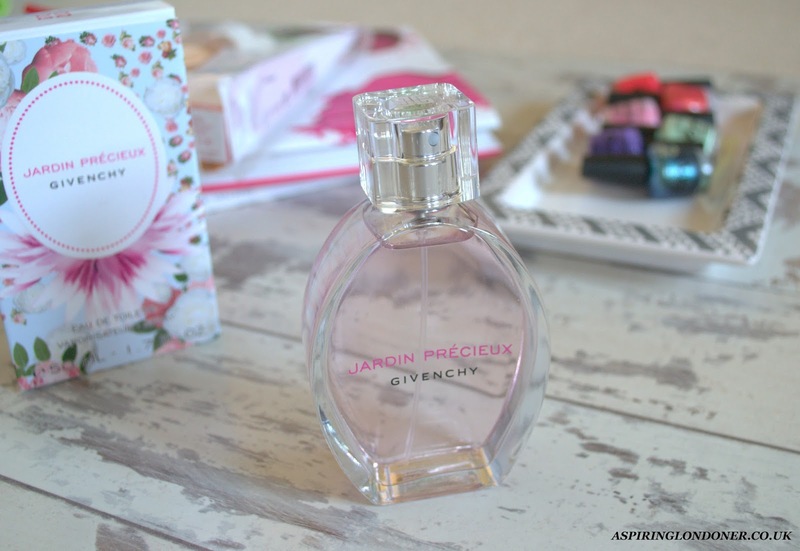 The unique fragrances like the Givenchy Jardin Precieux EDT (£39) make great presents! I love that there are so many options to choose from. I sometimes stock up on my favourite Chanel perfume. The savings on these are great! So if you want to treat yourself to an expensive perfume, I’d wait for Duty Free. I often buy things I want to use on my holiday like the OPI Travel Hawaii Mini Collection (£16.35). It's so perfect for my summer holidays because the mini sizes won't weigh me down and I can use them once I'm back too, reminiscing about the great time I had! I'm one of those people that arrive at the airport earlier than they need to, to make sure I can spend a decent amount of time at World Duty Free. Some call it crazy, I call it good sense! This means I'm saving money on my essentials and am prepared for events to come in the near future. If you’re going away this summer, I highly recommend stopping at World Duty Free to check out their wide range of products at fantastic price points. You can check out all the amazing sets and offers online at world duty free website. What do you usually pick up at World Duty Free? Share in the comments below or tweet me @aspiring_london!